ITWorks is an Israeli organization dedicated to creating opportunities in Israel's booming hi-tech industry for those outside of the economic mainstream. It was established in 2006 by Ifat Baron (a former winner of the Foundation's Bernice S. Tannenbaum Prize!) who wanted to address the mismatch between the tech industry, and its ever-expanding need for employees, and those who have been left behind. ITWorks offers training programs for in-demand positions in hi-tech, and uses its ties to approximately 130 partner employers to place its program graduates. One key element of their programs: they do not start a new training program unless there is a demonstrated interest by the government to take it to scale after being piloted by ITWorks. Over the years, 5,000 people have benefited from their training programs, and 3,500 have found meaningful employment—83% of whom have stayed on the job for more than a year. The Foundation's current grant to ITWorks is for several training programs that target low-income single mothers. ITWorks has created courses for them to work in payroll accounting and human resources in hi-tech firms, providing these women with market-ready skills. They then work with companies to create positions that enable these women to balance employment with their child-rearing responsibilities. 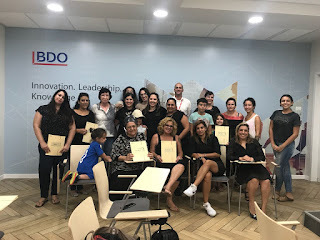 Pictured above: the latest cohort of single mothers to graduate from their payroll accounting class—as of graduation, several had already passed an accounting industry exam, and were on their way to being placed! Foundation Alum "Shares the WOW"
Donna Orender, a Foundation Board alum, just released a new book: "WOWsdom! The Girl's Guide to the Positive and the Possible." The book contains letters from men and women from all walks of life to their younger selves, where they share their hard-earned wisdom. Donna has created a national organization that has created curriculum for girls' groups based on this material--and is encouraging everyone to share the book (a.k.a. 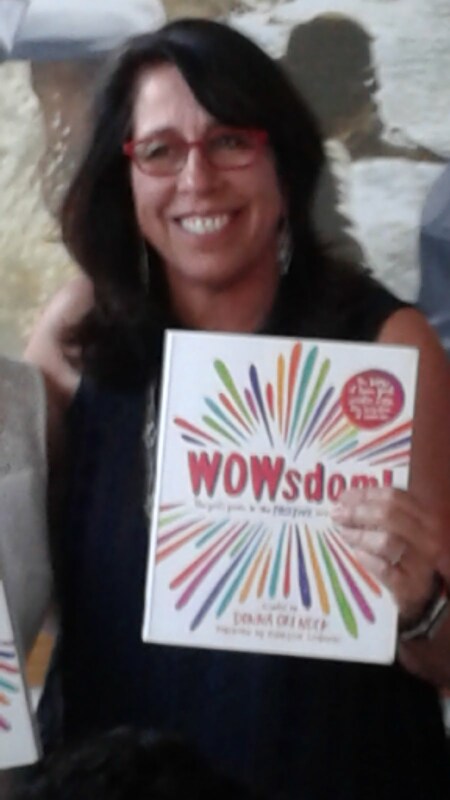 "share the WOW") with the young women in their lives. Mazel tov, Donna!